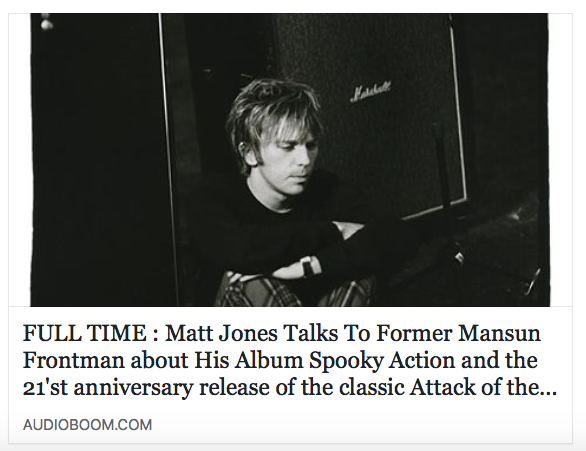 To mark the 21st anniversary re-release of Mansun’s chart topping album ‘Attack of the Grey Lantern’, Paul has given an interesting interview to Matt Jones of Liverpool’s Radio City. In it he talks about his recent tours and critically acclaimed debut solo album ‘Spooky Action’. You can listen to it HERE .